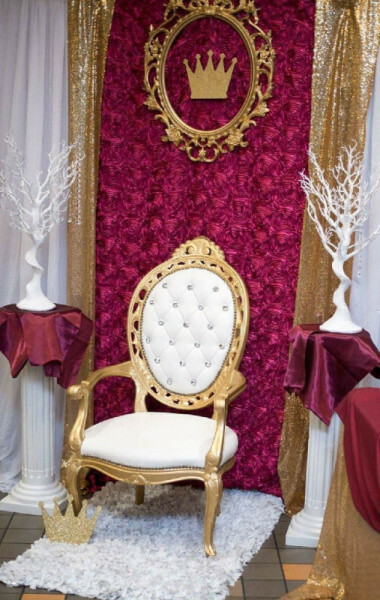 Java Rentals is a Throne chair rental Company that also offers Event Planning/ Event Decor in all NYC area. At Java Rentals, we strive to make your Event the most unique and memorable day ever. We believe your affair needs to be elegant and the talk of the town. Java Rentals will have all of your concerns and budgets covered when planning your special event. Whether you are getting together for a family party or a full-service banquet, let our beautiful chairs be a part of the special day for you and your family. Putting together a social event can be a great ordeal, and there are many unanswered questions that can come along that can spoil an event. Let Java Rentals take care of your party needs by contacting us today! At Java Rentals, we believe that your event should be unique and memorable. We want to work with you and for you to ensure every detail is exactly how you would like it. We take great pride in offering the highest quality equipment and the best service possible. Let our beautiful custom detail chairs be a festive air to your particular event.